Although Patrick McGoohan will forever be associated with his groundbreaking cult series The Prisoner, the question of where that program found its genesis is answered in Secret Agent or, more correctly under its original title, Danger Man. 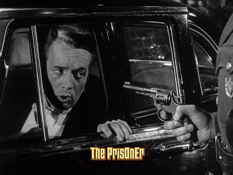 In fact, The Prisoner was only born when McGoohan was given carte blanche by ITC’s head Lew Grade – the man who also gave Jim Henson the go ahead to bring The Muppet Show to television – to write his own ticket when the star began frustrated with having to churn out week after week of the Danger Man series. McGoohan hadn’t actually been on the scene for very long before being able to call the shots, making his screen debut only in 1953 and appearing in non-credited roles, such as a door guard in that great British war drama The Dam Busters. 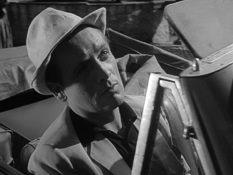 A real breakthrough was the tough antagonist part of Red in the gripping road thriller Hell Drivers in 1957, alongside a who’s-who of later star talent including Stanley Baker, Herbert Lom, David McCallum and Sean Connery. More television bit parts followed, before McGoohan was approached to appear as arguably the screen’s first serious secret agent, John Drake, in Danger Man, re-titled Secret Agent for clarity in America. Detectives and the like had appeared countless times in screens over the years: The Falcon and Charlie Chan were mainstays in the 1930s and ’40s, and Perry Mason and Columbo would continue the crime-solving on television. But Ian Fleming’s James Bond books changed everything, and a 1954 version of Climax! presented a now rather comical edition of Casino Royale but proved there was an appetite for small screen agents that did more than just follow up clues. In England, Lew Grade’s ITC was more than adept at producing the kind of slick fare that sold well internationally: HG Wells’ The Invisible Man faked an American feel very well, and the globe-trotting exploits of many of Grade’s characters meant these shows worked all over the world. 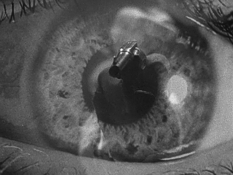 Beating the big screen 007’s Dr No in the theaters by over two years, Drake, John Drake, laid the groundwork for the international espionage agent, McGoohan insisting on using his brain to get out of a scrape rather than simply resort to gunplay or chases. In the first season, which ran once only in the UK, there are plenty of those anyway, and each half-hour episode runs the gamut of the eventually predictable formula: NATO agent Drake, the man they call when there’s “a messy job” to be done, usually turns up in order to solve a missing persons alert, overthrow a dastardly dictator, or protect an innocent individual from insidious plots. The episodes are actually very gripping, well made mini-thrillers in their own right, with the formula only really setting in when one catches a slew of them in a boxed set sitting like this. What’s most impressive is the use of stock location footage, melded in not only with backlot settings dressed in the flavor of whichever country Drake is visiting at the time, but with unexpectedly extensive real location work. Not that McGoohan and his crew (including later major director John Schlesinger, head of the second unit on the pilot show) ever made it much past the gates of the legendary MGM British Studios, but that the show is not particularly tied to studio interiors only lends it a higher class of production value (incidentally, that pilot’s exteriors were shot in Portmeirion, doubling for Italy, a location that stuck in McGoohan’s mind when the whacky village of The Prisoner had to be found). The good onscreen production value is topped off by a cool theme tune, which predated The Man From UNCLE but reminded me very much of the same vibe, and by McGoohan’s performance as well. He’s pretty good in the role of a character who must so often become various personalities under disguise, and although it’s all pretty silly and cheesy today, it’s all done with sincerity and a knowing wink to the audience, while the villains are all naturally fooled. 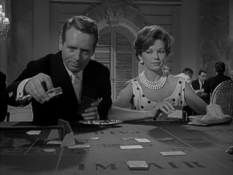 The first season, from 1960, has Drake frequently off on the kinds of missions that other shows, like UNCLE or Mission: Impossible, would later use as stock plots, and it was all pretty heady stuff, but not as successful as hoped and the series ended after one year, McGoohan then turning down the part of James Bond for being more of the same. However, the show had caught the eye of Walt Disney, who offered McGoohan the role of Dr Christopher Syn, alias The Scarecrow Of Romney Marsh, in the celebrated three-part mini-series for the Disneyland television series. Dr Syn was a hit both on television and later in a theatrically released edition, significantly raising the actor’s profile. 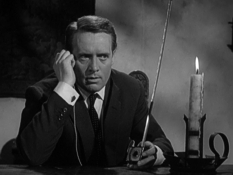 He stayed at Disney’s to appear in The Three Lives Of Thomasina (directed by another Danger Man alumnus, Don Chaffey), but McGoohan now had designs on production and, when Danger Man had proven to be a big hit in syndication and Grade offered him the chance to make new episodes, McGoohan was able to dictate the rules. Running from 1964 until 1968, Danger Man became more developed under McGoohan, expanding to one-hour stories with more depth, leading to 47 further episodes all collected here too. Secret agents were also now all the rage, from Bond to The Avengers, and Grade himself was by now enjoying success with a crime solver of a different kind, Roger Moore as The Saint, which had debuted in 1962. Though while that series enjoyed full color, Danger Man was to remain in black and white, something that rankled McGoohan, but in hindsight was probably a budgetary concern to off-set the otherwise luxurious look and scope of the production design. Comparisons with The Saint are well founded: much of the same crew and writers bounced back and forth, and it was a well-known joke that ITC shows used variations on the same scripts (an early season one episode about a blind woman pretending to see in order to make the villain reveal himself is one almost direct steal from the earlier Invisible Man series). But whereas Moore was a more gentlemanly and suave battler of crime, basically performing a six year audition for James Bond, McGoohan was a bit dirtier, cleverer, rougher and ready to take on anyone and outsmart them with his mind or his fists. From the second season onwards, the basic premise was simplified, too: gone was the talk about NATO and the inconsistencies about working for various authorities, as well as McGoohan’s wandering Irish-American accent. Here he’s much more Bond like, with a clear British accent and job working for the fictional M9 government security branch, though the emphasis is still placed on more realism. Instead of fancy gadgets, Drake has to use his wits, even though there are still some ingenious usage of special items, and what’s neat is that Drake reuses them as trusty equipment rather than discard them after use. 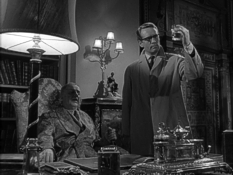 In its trademark black and white, the tone of the show still retains a very nice film noir feel, even though McGoohan’s gumshoe detective-styled narration is mostly MIA. 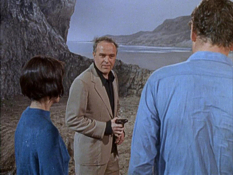 But the longer episodes feel much more substantial and fresh; also helping to repackage the program is High Wire, a brand new, hyper-exhilarating theme tune in the great ITC tradition, though this was swapped out for Johnny Rivers’ song Secret Agent Man, from which the show got its US brand name. The one hour shows allow more development of plot, character and the various situations, playing out as half-length features is anything, the production value making them stand up against any supporting thriller of the time. And yet they’re still a lot of fun, with Drake taking on any number of personas – dangerous criminal types, foppish playboys, journalist, gambler, tourist or man servants – to crack into a given assignment and get results. Not that his schemes always go as planned: instead of the pretty cut and dried adventures of the first season, the second through third runs often have Drake double-crossed, or the unfortunate user of faulty equipment, at which point anything goes and he will entertainingly pull something out of the hat to break out of a tight spot or solve the case. 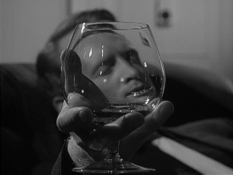 This usually is done without the need for guns: McGoohan insistent that Drake would be a man that uses his mind and then his fists, and further moving away from the Bond image, Drake isn’t always to be found in the bed of his latest female conquest, choosing to be focused on the job rather than any other distractions (one episode also touching on the isolation this occupational hazard brings, which is a little more deep than most TV crime shows delve). After three years of pretty much doing the same thing day in and day out, McGoohan had also become the highest paid television actor of the day with the success of the show, and was beginning to tire of the routine. 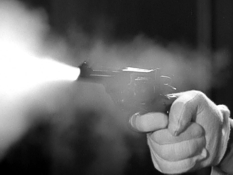 Recalling his time working with Disney, he insisted that the only way to continue Danger Man into a fourth run was to future-protect it and shoot it in color. Seeing that he could be about to lose his leading man, Lew Grade agreed, and the final two episodes were filmed but not broadcast until 1968. Whether it was by design or not, these two episodes would be all that there was of a fourth season, and so limited were their potential on television, that they were edited into a feature film spin-off, Koroshi, which showed as a Secret Agent special in the US. But after only just winning his argument to shoot in color for the fourth, McGoohan had had enough – perhaps the slightly more straight Bondian aspects of the both halves of Koroshi also had something to do with it – and burst into Grade’s office ready to quit. Naturally, Grade didn’t want to lose the biggest actor on television at the time and asked McGoohan what he wanted to do. Mirroring what was happening in real life, the star mused over the story of a secret agent who abruptly resigns without warning and goes home to start a new life but is knocked out and wakes up in an abnormally pleasant, and therefore sinister, location. The character, assigned a number, would spend the entire series trying to break out of this “Village” and find his way back home. Who had taken him, and whichever side they were playing for, would remain a mystery to Number 6 and the audience, but The Prisoner was born and with a gentleman’s handshake a television classic was the result. As such, it’s now very interesting to see Koroshi knowing that it could work just as well as a Prisoner prequel – indeed, the two episodes were held back and eventually shown as lead in to the debut week of The Prisoner. The bigger budget on these episodes is clear in the Bond-like sets, design, music scoring, underwater fight sequences and final conclusion, but part one’s two explosive sequences can be felt in the otherwise talky script. 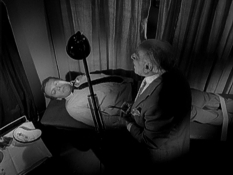 The second part, with its curious resignation plot starter, is more interesting, especially when Kenneth Griffith turns up, further suggesting a Prisoner connection as he appeared in two episodes, in particular the climactic Fall Out. 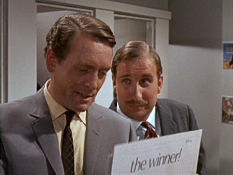 Character rights shared with Danger Man’s Ralph Smart prevented McGoohan from outwardly implying Number 6 was John Drake, but to most followers of both shows the characteristics are obvious. 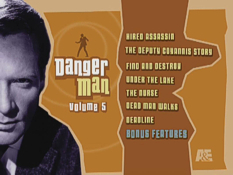 The Prisoner opens with a Danger Man publicity shot of Drake being deleted from Number 6’s file, and there are several call-backs to the earlier program, not least an episode that was retrofitted from an original Danger Man script for the unfinished fourth season, in which Number 6 actually meets one of Drake’s contacts for information, in the same kind of record store location, no less. 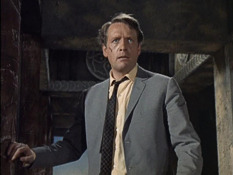 For his part, McGoohan never explained the obvious connections (the genesis for The Prisoner can even be found in the Danger Man episode Colony 3) and, though even after both programs had long finished, he often included little knowing nods to them in other projects, especially his numerous appearances as a brilliantly formidable foil for Peter Falk’s Columbo in the 1970s, which McGoohan also directed. 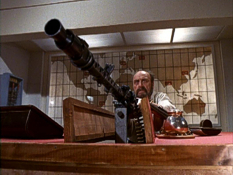 Villainous feature parts also included Silver Streak, the brutal prison warden in Escape From Alcatraz, and Braveheart, before he returned to the Disney Studio in the 1980s for the ill-fated Baby: Secret Of The Lost Legend and again in his final credit, the voice of Billy Bones in the Studio’s Treasure Planet. But it’s Danger Man and The Prisoner that will remain his legacy, and to my mind the characters he portrayed are one and the same. 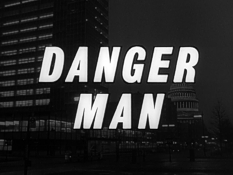 Though, perhaps of the black and white aspect, Danger Man hasn’t earned the same degree of cult popularity shared by the exploits of Number 6, it’s actually a very good show, adding some intrigue to the notion that John Drake would suddenly quit, only for his government to subject him to the confines of an inescapable location in order to learn the reasons of his resignation or if he poses a threat by defecting to another side. The latest in A&E’s recent packaging updates from their original thick Armary cases to thin-packs that are less cumbersomely stored in a box set, there doesn’t seem to be any new remastering done on these shows, other than sleeve updates to reflect the new release date. 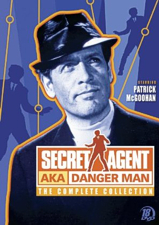 As such, as with the Monty Python Mega-Set and The Prisoner itself before it, this brings the Danger Man / Secret Agent package down to something more manageable for a multi 18-disc set. Frustratingly the bonus features, listed on the back of the box, aren’t actually indicated on the sleeves as to which discs contain this added material, but otherwise the packaging is neat, with every two discs housed in their own case that presents unified artwork and full episode listings, major credits and brief synopsis for each. The use of different fonts and text size manages to squeeze all these onto the back of the sleeves without feeling claustrophobic, though the later one-hour shows, with less on each disc, are given even more space to present longer plot outlines. The amount of material on any given disc isn’t anything to be concerned about, however: even eight half-hour episodes equates to only a smidge over 90 minutes worth on each layer, so compression is never an issue for the appropriately shown 1.33:1 prints. The sources for the first season are in remarkably good shape, too, and although there’s no remastering claimed on the box, it doesn’t look like it’s needed anyway, since everything is unexpectedly pin-sharp. The “stereo” audio is also good, though I’m not sure they’re just Dolby 2.0 encoded mono. Nonetheless, they’re sharp soundtracks that may rise and dip in dynamics between the hush-hush dialogue scenes and the blasts of the cool 60s music, but they’re all expertly mixed. Discs 1, 2, 3, 4 and 5 provide the complete first season of 39 half-hour episodes, each approximately 25 minutes without commercials, including the aptly named episode The Prisoner, which turns out to bear no relation to the later series, though it’s name may have provided McGoohan with a title of his own. Disc 5 also contains the first of a handful of bonus features, in particular on this disc a two-page Patrick McGoohan Biography, three pages of a McGoohan Filmography that gets some titles wrong and omits later work such as Treasure Planet, and, best of all on this disc, a Photo Gallery that offers a number of publicity shots from all 39 season one episodes: generous but amounting to little more than frame stills. The one-hour shows (well, around 50 minutes minus commercials) are presented in groups of three from Disc 6 onwards, again meaning that there’s less than three hours of material over the dual layers: more than enough space to make sure the program looks great. Here the menus switch to the Secret Agent AKA Danger Man logo that adorns the box, accompanied not by the original theme tune, but by Rivers’ Bond-influenced Secret Agent Man track. 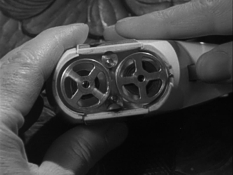 However, the episodes themselves are presented as originally intended, with the Hire Wire music and Danger Man title, with the running screen credits breaking into the beginning of the shows adding to the mini-feature film feel. 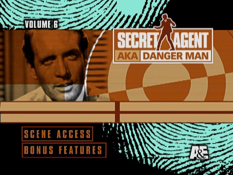 As a consolation to those expecting the Secret Agent openings as they may remember them, Disc 6’s supplements offer up the US Secret Agent Opening, which presents an alternate 40-second title sequence that clearly has Bondian aspirations, with abstract animated imagery, McGoohan clips shown “through” a watchful eye, and plenty of references to guns. The Rivers song may be fun, funky, in the Bond tradition and perfectly enjoyable as a song in its own right (and often used in other spoof spy films, such as Austin Powers), but it doesn’t actually suit the tone of the show, interesting as it is to see. The Biography and Filmography are repeated, adding McGoohan’s television credits to the list, as well as more Photo Gallery stills for this disc’s three selections. This basic routine of including the Secret Agent opening, the biography, filmography and a Photo Gallery for the episodes contained on each individual disc is continued from Discs 7 to 18, although the three shows per platter is upped to four episodes from Disc 8, still well less than two hours per layer and not showing any signs of compression stress as a result. Discs 16, 17 and 18 revert to just three episodes per disc, including the Koroshi color two-parter in the final group, which looks just as sharp as the other episodes and actually withstands blowing up to a 16:9 zoom to create a theatrical feel presentation. 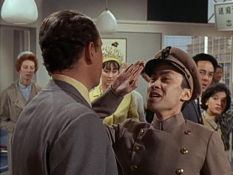 Some of the sound in the later shows can be a bit hit and miss, relying more on set recordings, and Koroshi’s first part has one or two softer dialogue scenes, but it otherwise makes good use of its Japanese stock shots, and there’s a fun cameo from The Pink Panther film series’ Burt Kwouk, so it’s not just the addition of color that makes them special. While it’s great to see these final two episodes in their original versions, it would have been fantastic to have maybe bunched up the previous disc with four episodes, leaving space on the final disc for the final two color episodes and their feature-length version, a real bonus since I’m not aware of any separate release (though the intro to the first part clearly credits directors for both, including none other than Peter Yates). A European theatrical trailer or publicity gallery for the film, or even standard previews for each episode would have been great too, as well as maybe a featurette on the comparisons between Danger Man and The Prisoner. But there’s little else here, not even a promo spot for The Prisoner, arguably a continuation of this show and at least a companion. As a genuinely individual part of the Danger Man/Prisoner conundrum, the film adaptation of Koroshi feels like the major component missing here, and a missed opportunity for A&E to lure in fans that may already have the previously released editions of these episodes. However, this isn’t totally unexpected, given the sheer amount of material crammed into the box, to be fair, and having all the episodes – all 86 of them – is the main attraction, for which this set suitably fits the bill and is a handy gadget of its own! The Koroshi two-parter is the stand-out story here, simply in terms of the addition of color and the expanded scope, good use of location and stock footage, but there are plenty of other episodes that provide just as much intrigue and plot twists. It will probably come over as pretty predictable and obvious to most of today’s audience, though there’s still plenty to entertain in its less fanciful but still exciting approach, and it’s only time that might make anything of the fact that John Drake was as much an action hero as 24’s Jack Bauer has been during the 2000s. The missing element of Koroshi in its film edition disappoints, especially since I can see how that would have worked when it was run as an “introduction” to The Prisoner that could only have tied the Drake/Number 6 connection even closer at the time. But extras aside, what’s great with this set is the chance to catch Patrick McGoohan embroiled in the kind of espionage that his later groundbreaking cult hit would hint his character had been up to, and though it works in that regard as terrific background, it’s a thoroughly entertaining – if now quaintly appealing – collection of secret agent thrillers.